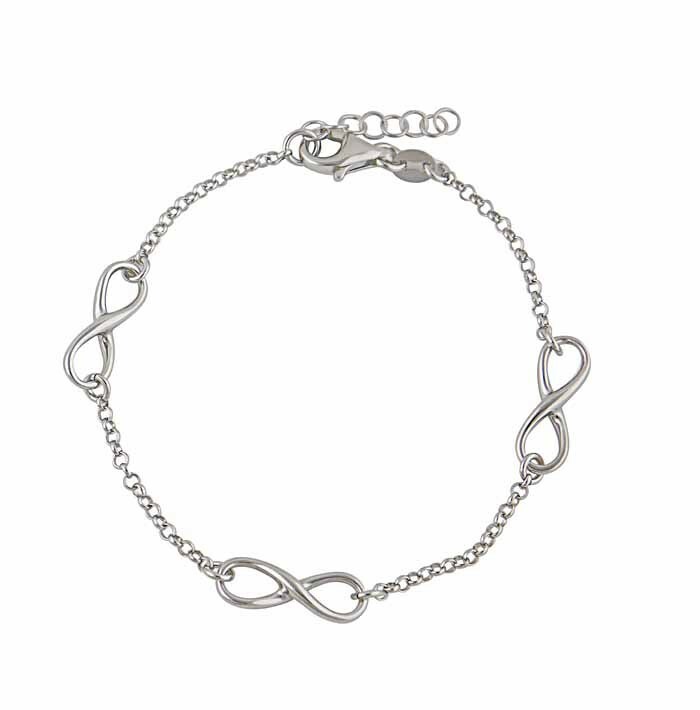 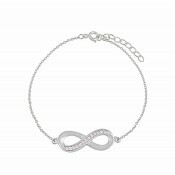 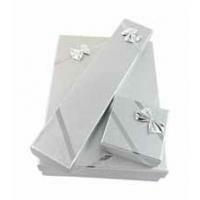 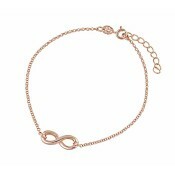 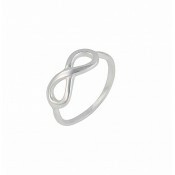 This infinity link silver bracelet from the Opal's on-trend infinity collection is a beautiful addition to any outfit. 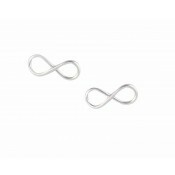 Featuring three infinity charms each connected by a sterling silver chain and a traditional bracelet fastening for easy use. 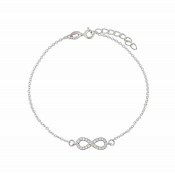 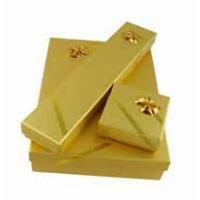 This simple but statement piece is perfect to match any look.